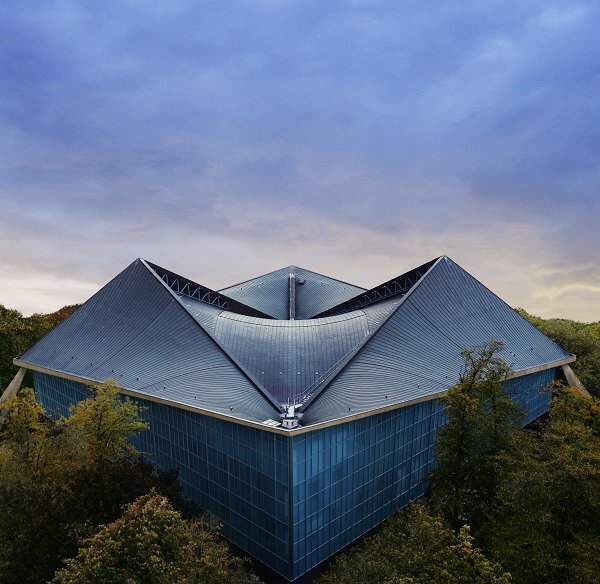 On Thursday 24th November the long-awaited Design Museum opens in Kensington on the site of what many of our generation will remember as the Commonwealth Institute. Designer, John Pawson www.johnpawson.com and Dutch architecture practice, OMA www.oma.eu , restored the original shell of the 1960’s Grade-II listed building, including its iconic copper-covered, hyperbolic paraboloid roof. On 30th November, the museum will host the 20th International Designer of the Year Awards, started by Martin Waller in 1996. In 1978 Martin Waller launched his luxury interiors brand, Andrew Martin www.andrewmartin.co.uk the beginning of a design empire that now distributes his exotic range of fabrics, wallpapers, furniture and home accessories to 63 countries. Ever since Kelly Hoppen won the first award in 1996, the Awards have been known as the Oscars of the Design World and and in China alone they now draw a 4000+ crowd. Judges have included Alexandra Shulman, AA Gill, Nicholas Coleridge, Anouska Hempel, David Tang, Amanda Wakeley, Terry O’Neil, Olga Polizzi, Yasmin Le Bon, Gordon Ramsay, Nick Jones, Candace Bushell, Elizabeth Saltzman, Lucia Van Der Post, Tom Aikens and Stuart Rose. Now in it’s 20th year, and described as the bible for the interior design world, the influential Interior Design Review book annually publishes the very best work from entrants. A legend of design whose wonderful personality imbues his work with an effervescent joie de vivre but always controlled within the parameters of his perfect taste. In the noble footsteps of Axel Vervoordt, Vincent pares back his interiors until every piece has resonance and purpose . A prophet of the simple life. An expression of escape from the rigours of urban life. Crumpled and somehow luxurious at the same time. Chou-Yi expresses many of the facets of the new vernacular of Chinese design: an emphasis on dynamic wall and ceiling finishes , powerful centrepieces , water features and thought provoking lighting that emphasises the shadows.